My book is in bookstores! I’ve been posting on Facebook whenever anyone emails me a picture of my book on a bookshelf, but I had yet to see my book with my every own eyes gracing the local bookstore shelf. Until now. 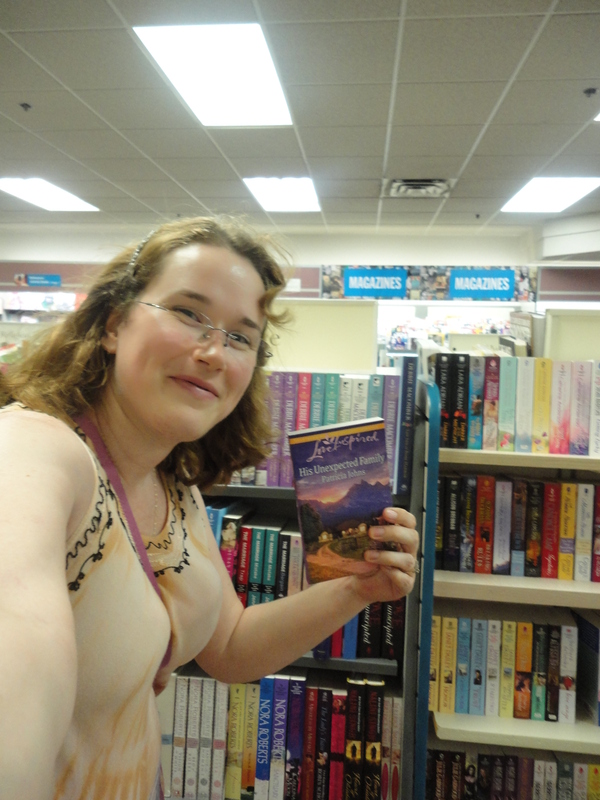 I called up our local bookstore and asked if they were on the shelves yet, and I was told yes, they had one left. (Which means at least one sold!) 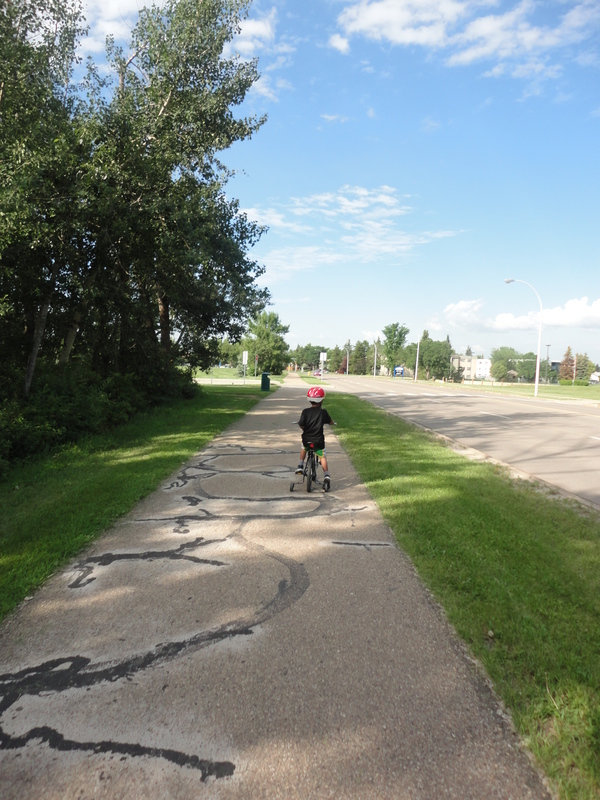 So I convinced my 5 year-old that walking the forty minutes to our tiny local mall was a good idea, and we set out. 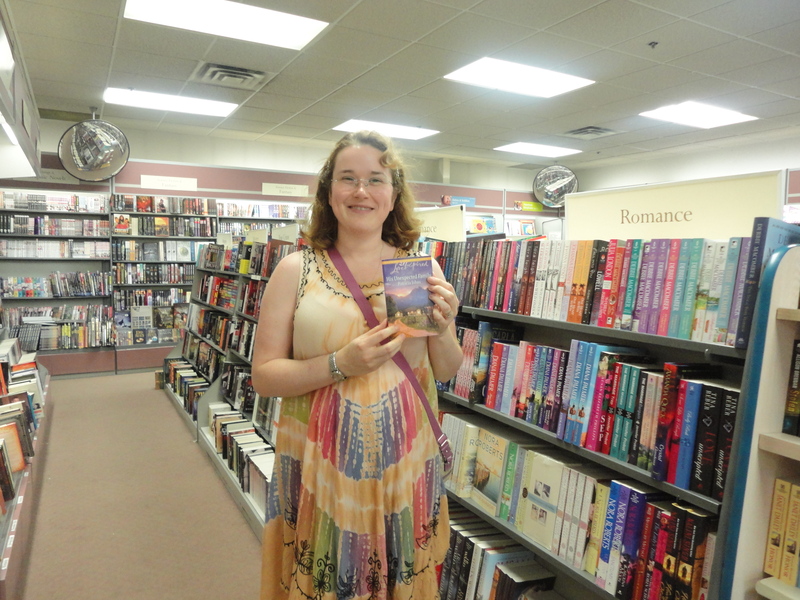 It was a warm day, so by the time we arrived, I wasn’t at my Cover Girl best, but in the spirit of “who cares what I look like, I’ve got my book in the stores!” I asked the sales woman to snap a photo for me. And I took a few of myself–looking very, very pleased with the world. I just finished your book His Unexpected Family and I loved it! Jen, did you read it? I’m so tickled! 😀 And I’m really glad you enjoyed it!